In short, entomophagy is the practice of eating insects. This practice has always been an important part of our diet and it may have played a key role in our brain development and evolution. The word Entomophagy derives from Greek words éntomon “insect” and phagein “to eat”. By now, you probably saw videos of people eating insects and start-ups trying to build a business with it. But wait a minute. If it is that disgusting, why are so many people so hyped about it? 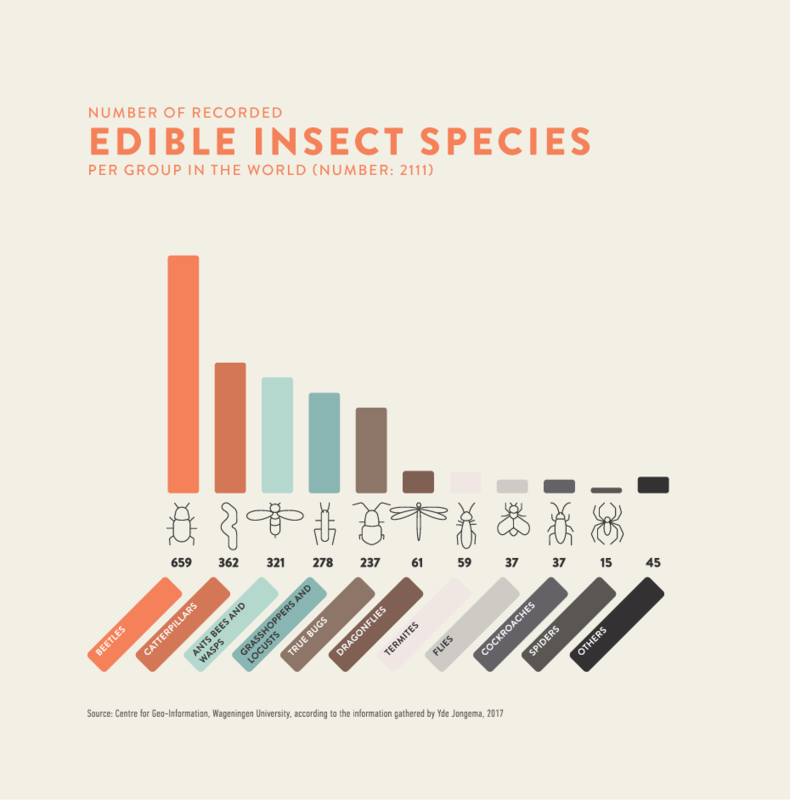 Edible insects around the globe: Where can you get your hands on edible insects? Insects and religion - what insects are you allowed to eat if you are a Christian, Muslim or Jew? Why we stopped eating insects in the western world? They can taste sweet, salty, savory, sour, spicy or bitter. It all comes down on the insect species. There are spicy leafcutter ants (Atta laevigata), sweet honeypot ants, savory and slightly salty house crickets (acheta domesticus), grilled grasshoppers that are crunchy savory and bitter… the list goes on. Fun fact: It is estimated that there are around 8.7 million species in the world of were 900 000 are insects! Besides the wide range of taste combinations, entomophagy has more to offer. Insects have various nutritional profiles, but most of them are packed with nutrients. Most edible bugs contain high amounts of protein, antioxidants, vitamins and minerals. Many species contain all essential amino acids which are responsible for a wide range of bodily functions. Some of the most common edible insects like crickets and grasshoppers, contain high amounts of vitamin B12 and Riboflavin. A recent study even showed that insects can synthesize vitamin D3 when they’re exposed to UVB light. Which makes them a great supplement for people with dietary restrictions. Besides being tasty and healthy, edible insects are relatively sustainable compared to other livestock animals. They need less water and feed and they emit less greenhouse gases than cows, pork or chicken. As insects are cold-blooded animals they need to get heat from the outside. In nature, the sun takes care of that. However, Indoor insect farming needs a lot of energy. Since insect farming is constantly evolving at a rapid pace, we're hoping to see more optimized methods in the near future. In case you want to try edible insects yourself, we got you covered. As we’ll show in the next chapter, getting your hands on edible insects is super-easy and adventurous. 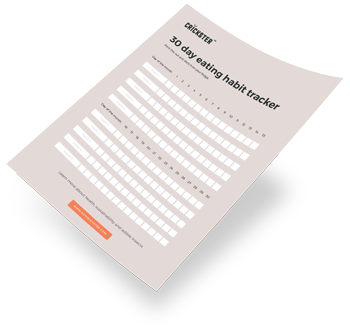 Where can I try eating insects? Anywhere. 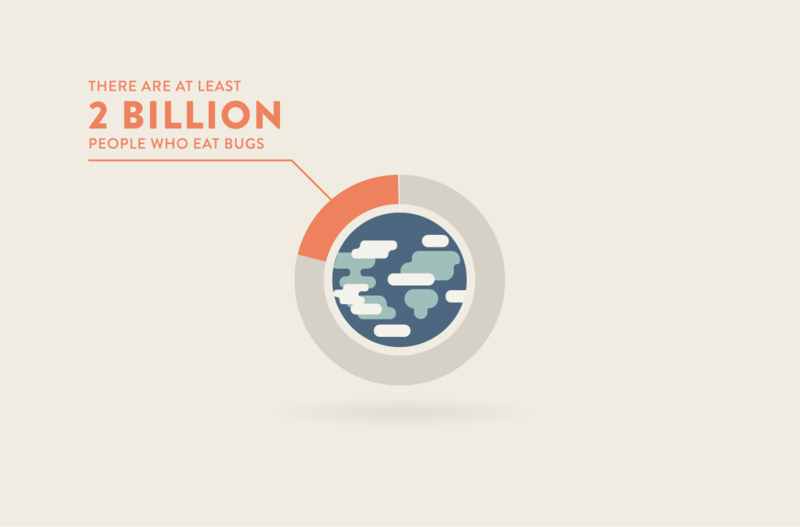 Eating insects is more common than you might think. The easiest option is ordering bugs online from the comfort of your home. Some food start-ups are making innovative food products with different types of edible insects. The other option is a little more adventurous and it involves traveling! Worldwide, around 3,000 ethnic groups practice entomophagy in one form or the other. [7,8,9,10] There are at least two billion people from Africa, Asia, Australia, New Zealand to North, Central, and South America who eat bugs . Some of the insect consumption is stemming from Western civilizations as well. People are consuming caterpillars in France and Belgium, bee larvae in Germany. In Italy, people prize the Cazu marzu cheese, which is cheese made with live insect larvae. In case you want to explore edible insects around the world, we got you covered. ● Thailand: Besides white sandy beaches, full moon parties and big buckets of booze. Insects are common and are considered a delicacy in Thailand. With their many food markets, it’s easy to go on a culinary adventure. Here you can find a variety of edible insects like grasshoppers, woodworms, water beetles, crickets, bamboo worms and many many more. [11,12]. ● Mexico: Edible insects are only eaten in some regions and not as common as in Thailand, but they are still an important part of Mexican gastronomy. The Oaxacan area is a food-mecca for extraordinary culinary insect delights. Signs of entomophagy can be found throughout the ages in fossilized cavemen poop, cave paintings, religious & historical texts. Later, when the written word and the monotheistic religions (Christianity, Islam, and Judaism) were introduced. The texts guided the faithful by telling them, which insects they could consume. That was back in the good old days! What other records do we have of entomophagy? Insects are and have always been an important part of our diet and may have played a key role in our brain development and evolution. Can I eat insects if I am a Christian, a Muslim or a Jew? Well, yes, sort of! I guess we have to clarify this answer. Alright, so both the Christians and Jews are allowed some types of edible insects. What about their Muslim brothers and sisters? Now, If religions allow insects, and philosophers were considering entomophagy as natural practice in the 18th century. How come we are not eating insects now? What happened? Or didn’t happen? Why did the western world stop eating insects? The western world stopped eating insects, because of the introduction of farming that offered better and more stable benefits. Luckily, many innovative entrepreneurs in the western world are trying to reintroduce insects as stable food through new innovative food products with insects. But wait a moment. That didn’t answer my question about; why did we stop eating insects? That makes sense! What is happening now? Why haven’t we begun to eat insects in the west? It starts with U and it is something we are good at in the west. Yes, you guessed it urbanization. This practice has left people out of touch with nature – big cold cities with closed concrete buildings. In contrast, many people in tropical areas live a more rural life in harmony with nature. Think a moment about the open clay huts in Africa, with their big house pet spiders. Luckily, lots of startups are reintroducing edible insects in the west. But, why is it the western world can’t unite with the practice of eating insects? The feeling of disgust are often followed with questions such as: What is it? or Where has it been? So, when a westerner sees a roasted mealworm – the most common associations are to their favourite oatmeal, crawling with mealworms. Or even worse, the association with the decay of a dead carcass filled with maggots – YUUUCK! Looking past the basic human emotions, the origins of disgust have deep roots in our food culture. The western world simply stopped eating insects as the development of agriculture and livestock domestication led to a change of lifestyle going from hunter-gathering to farming. That topped with the uncertainty of insects as a stable food source and that insects were now becoming a threat to the precious farmed crops. We are experiencing an increased westernization and urbanization around the world that further distance the urbanized and westernized areas from entomophagy. This is because of an increased less harmonious life with nature and the common notion that westerners perceive entomophagy as primitive disgusting behavior. Finally, the acceptance or rejection of entomophagy is a question of culture. I hoped you enjoyed this post about entomophagy and you learned something new. Which topics of this posts positively surprised you? 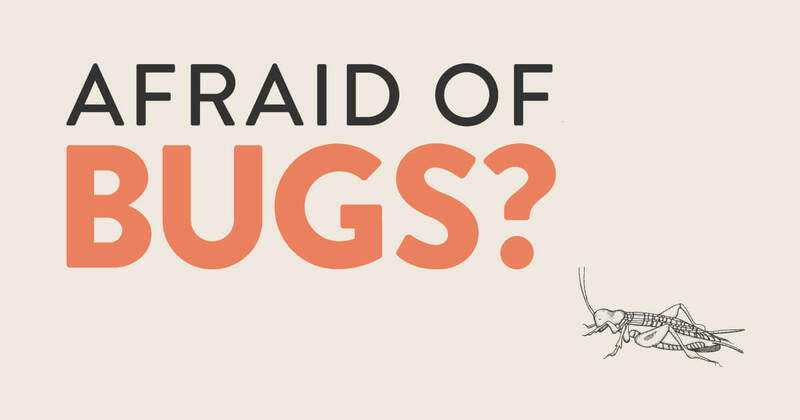 Are you going to give insects a try? And which insects would you try first? Want to know more about edible insects?